British police arrested a mother in front of her children for calling a trans activist a man in a Twitter argument, with a judge subsequently issuing an injunction banning her from referring to the person's "former male identity". 38-year-old Kate Scottow, of Hitchin, Hertfordshire, said she was "arrested in my home by three officers, with my autistic ten-year-old daughter and breastfed 20-month-old son present" in comments posted to the Mumsnet online forum, according to the Mail on Sunday. "I was then detained for seven hours in a cell with no sanitary products (which I said I needed) before being interviewed then later released under investigation... I was arrested for harassment and malicious communications because I called someone out and misgendered them on Twitter." The Mail on Sunday say Hertfordshire Police have confirmed the arrest, telling the newspaper: "We take all reports of malicious communication seriously." Police have warned 'offensive' comments will not be tolerated after tracking down users who posted about Muslim grooming gangs on social media. Specifically, Ms Scottow is said to have been interrogated for "deadnaming" trans activist Stephanie Hayden during an argument over whether trans people should be able to legally change gender through a simple self-identification process with little or no medical oversight. Hayden had made headlines in late 2018 for launching legal proceedings against leftist comedy writer Graham Linehan for using their male birth name, describing this as "a gross violation of my privacy and who gets to know this information about me... I am quite prepared to resort to the law if people cross the line." Court action appears to have been taken against Scottow, also, with Deputy Judge Jason Coppel QC issuing an interim injunction against her which bans her from "referencing [Hayden] as a man" or alluding to Hayden's "former male identity". Hayden has previously backed campaigns to take down billboards sporting the dictionary definition of a woman as an "adult human female" as offensive, and to force academics who dispute whether someone born male can really become a woman to step down from university positions, according to The Times. 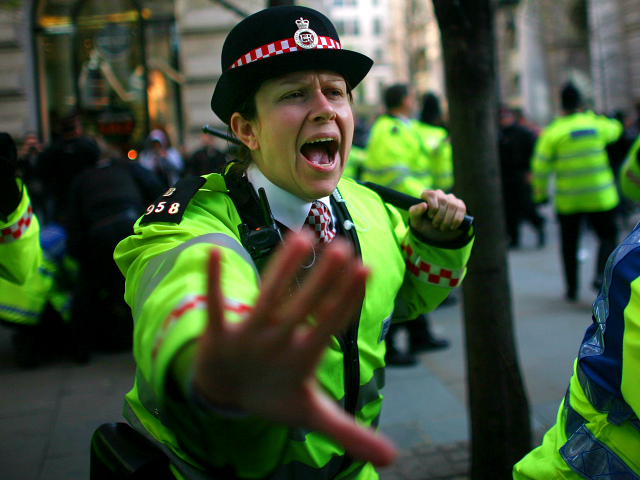 British police forces arrested at least nine people a day for "offensive" comments on social media n 2016.